WatchGuard appliances support a variety of remote access solutions including IPSec VPN. 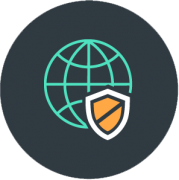 This traditional method of client VPN allows installation of a mobile client which delivers secure and controlled access into your network. Customers can choose from a variety of licence options dependent on what model of device they have, or select the advanced NCP client solution. All new WatchGuard appliances come fully licensed for VPN clients. Existing customers with older units requiring additional licenses should consider upgrading.